Getting your audience to subscribe to an email list is a great strategy for driving traffic to your blog. When you convince your readers that your content is helpful to them, you need to sustain their interest by keeping in touch through your emails. This is where having an email subscription option on your blog or website comes in. Or use the built-in email templates of AWeber or GetResponse. However, these services require a paid membership (one time, monthly, or annual). These paid services give you lots of advantages, but not everyone can afford them. This doesn’t mean that you can’t build an email list if you don’t have the budget. Contrary to what you might think, building an email list and promoting your content over email does not need to be expensive. Privy is an email list service that offers great features for free. The Privy dashboard is easy to use. It has a modern interface that lets you customize your forms. For a free account, you can use the “Exit Intent” feature, which shows the email opt-in form right as a visitor is about to leave the site. 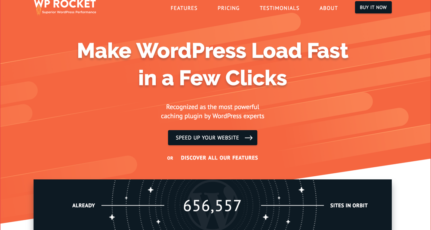 You can also create unlimited landing pages and there’s no limit to the number of people who can subscribe to your blog. As you can see, Privy has made it super easy for you to create and customize an email opt-in form for your blog. In addition to customizing the appearance of your opt-in forms, you can also use triggers to control when pop-ups and fly-over forms are shown. When a user fills out an opt-in form, you can send one automated response. All of these features come with a price of zero. Optin Forms is a free WordPress plugin that enables you to create, design, and display email subscription forms on your site. You can either use the app itself to store your subscriber information, or you can sync it with other email services like AWeber, MailChimp, and GetResponse. You don’t have to know a single line of code to use Optin Forms. 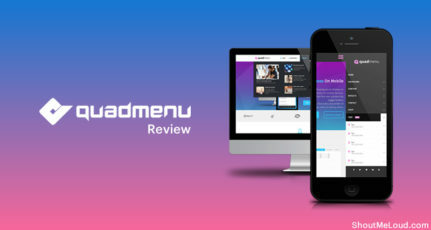 Just choose from the five templates and change the fonts, colors, and background to suit your site’s design. If you don’t like pop-ups, this plugin is perfect as it only lets you place a subscription form on posts or pages (either before, after, or in a specific area). 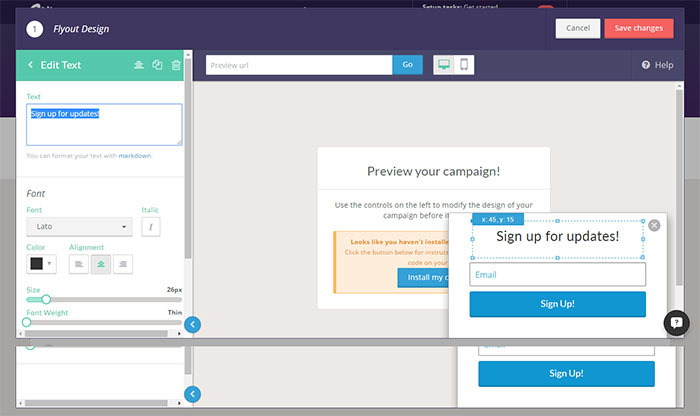 SumoMe has several tools for email marketing, but the one that helps you create an opt-in form for your site is called the List Builder. This feature displays a pop-up opt-in form in several different ways. You can select the behavior of the pop-up by setting it to Smart or Manual. Smart means that the app will decide when the best time is to display the pop-up. Manual means you can control when the pop-up appears. In addition to that, you can add specific rules when to show or not show the pop-up, including on certain URLs, pages, and devices. What’s great about the List Builder is the ability to track and show you your email capture statistics which includes the number of subscribers for the past 7 days. 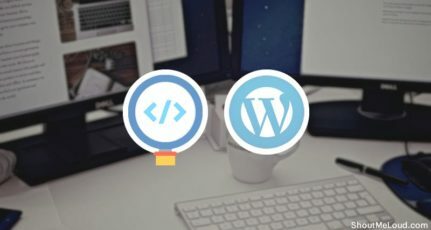 The point of trying out different tools for free is to see which one you like using, and at the same time which one works well with your site or blog. By the time you’ve used three or more free services, you’ll have a better idea of how to grow an email list. But what if you really like a free service and you wished it had just one more feature? Has your subscriber count reached the (free account) limit? That’s what upgrades are for. All of these services mentioned above have a “Pro” or “Premium” plan and you can upgrade at any time. Just be sure to check their Pricing or Features page to get a side-by-side comparison of free vs. premium services. Of course, you have to be financially ready to commit to a paid service. It might be that your blog or business has gained some revenue and you now have a budget for marketing. Or maybe you’ve found other funding sources for your blog. If this is the case, and if you want to maximize the benefits of growing your list of subscribers, then go for it! As you can see, there are lots of free options to grow your email subscribers. Even without a budget, you can still get your audience to sign-up. Free services are more sensible for beginner bloggers. You have the freedom to explore different features, learn what works best for your blog, and make better marketing strategies. The important thing is for you to find the best way to connect with your audience long after they first visited your blog. Have you tried any of the tools above? What are your experiences with them? Let me know in the comments! Did you find this list helpful? Share it with your friends on Facebook, Twitter, and Google Plus! Have you ever used GetSiteControl. It’s completely free, but it works fully professional. GetSiteControl never makes any request on page loading, so it doesn’t affect page loading. Seriously, you can use all the essential functions at your site, absolutely free by GetSiteControl. You give the helpful information. Email is best way to grow our business and you give the information on tools that help us to improve business. Thanks for sharing this tools. Thanks for your writing. I personally like SumoMe tool. This tool is really powerful for lead capture and social sharing. thanks alot kim, that will be very helpful for me in my Blog, I really appreciate it. Thanks for your great information , I am Going To start Privy. We all know that it is really important for us to capture the email addresses from the very beginning of blogging. But How? Obviously through tools which offer email campaigns. And you have jotted down almost all the amazing plugins and tools that we can use for our blog. I really appreciated your hard work in finding those tools, researching on it and sharing with us. Out of it, SumoMe became my favorite. Thanks to you. I’m happy to share these info with fellow bloggers like you. And, yes, SumoMe is great! 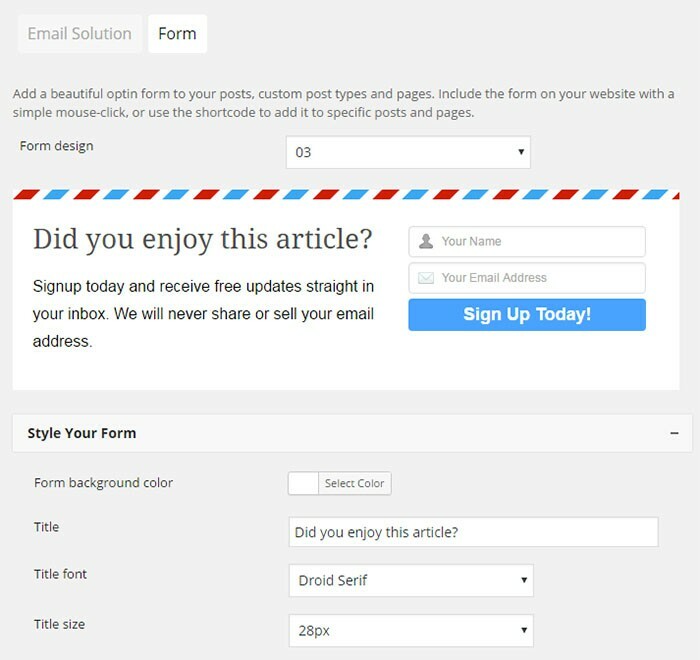 I have designed a very simple email sign up form at the end of my article and in the sidebar. I have gathered many ideas to design more attractive signup form. Will try these tools once if they work for me. I have learnt a lot from here and I have never regretted subscribing. I was searching out some thing free that can help me to increase my subscribers. All these ways that you have shared with us. These are paid and many people can’t afford it. Can you please share with us free one if you have used in the past? Hey bro(PIXELS ADVICE), Sumo me is free and is very effective, I have been using it since long time and one more good feature about it is you can directly sync the email contacts with your email client like mailchimp, aweber, get response so that you can avoid additional effort of gathering data from this to them. Hello bar is one free tool which appears as tool bar in the top of your website through which you can collect subscribers, refer you viewers to other articles etc. Hope I have answered your question. I was on the look-out for email capturing tool. I tried SumoMe but was looking for other options. This post really gave me a list of other options which I can try. Hi, my name is Solomon and I would please love to know whether is it a must to link an email service provider to my Privy campaign and is there any free email service provider? Hi Solomon. Yes, it’s important to link your sign up form to an email list service. You can try MailChimp or MadMimi. Both have free starter plans. Thanks for your great information Kim, that will be helpful for me in my Blog. Hey good article, I have tried sumo me and which is very much effective and the conversion has really been awesome because the moment at which a subscriber window pops through sumo me is at the most converting time where the user is involved in reading the post by almost half or half past and if he/she has read the article that long then he/she would definitely have interest in subscribing to the newsletter. I haven’t tried the other two, let me give them a try and update you on how convertible they were. One more good post as every time. I use mailpoet for my web site. Mailpoet is free up to 2000 subscribers.Easy to setup and use. Awesome post KIM BARLOSO ! well am still trying to build up my list! i know as times goes on it will get better. i agree with all your points most especially #trying out different tools for free. they work effectively. Thanks for sharing. Have fun.